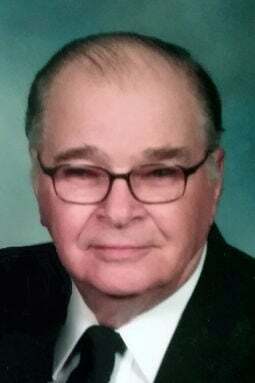 George “Botch” Snell Jr., 87, of Snyder died Sunday, Feb. 3, 2019, at his home in Snyder. Memorial services will be 11 a.m. on Saturday, Feb. 9, at St. Leo's Catholic Church in Snyder with Rev. Keith Rezac as officiant. Burial will be at St. Leo's Catholic Cemetery with lunch following at the Snyder City Auditorium. The family will receive friends from 10 a.m. to 11 a.m. on Saturday before the service at St. Leo's Catholic Church. A memorial has been established. Arrangements by Stokely Funeral Home. George W. Snell Jr. was born on Nov. 21, 1931, to George Sr. and Ruth (Foulkes) Snell in Lexington, Missouri. After high school, George enlisted in the United States Army in 1950 and served with the Army, as an equipment operator, stationed in Korea. After being honorably discharged in 1953, he worked as a boilermaker traveling extensively as a member of the Boilermakers Local 83 in Kansas City, Missouri. George married Ruth Fowler and the couple later divorced. On July 27, 1979, George married Marlene Sellhorst Scheppers in Moberly, Missouri. The family lived in several places before settling in Snyder in 1985. George retired in 1991. George was a member of St. Leo's Catholic Church and Knights of Columbus. He was active in many community organizations including the VFW Post 8439. George was a man of few words, however, he did enjoy family time, cruises, playing Phase 10, and woodworking. George is survived by his wife, Marlene, of Snyder; sons, Chris (Chelsea) of Wylie, Texas, Bradley (J.R. Oliva) of Glendale, California, and Jamie (significant other, Kristie Seybert) of Lincoln; stepchildren, Barbara Scheppers (Don Nelsen) of Fremont and Michael Scheppers of Columbus; grandchildren, Jared Scheppers, Noah Snell, Sailor Snell; sister, Betty Ruth Garner of Leon, Kansas; and stepbrother, Ron (Joh) Snell of Humble, Texas. He is preceded in death by his parents and an infant daughter. the life of: George "Botch" Snell Jr.